Craig’s Musings – Rantings of a slightly jaded evangelist! A beautiful sunny (but cold) morning in the English Countryside, taking in the historic and beautiful counties of Kent and West Sussex, 106km of cycling at its best. The organisers (Catford CC) may be duly proud of their achievement, great marshalling and organisation, thanks guys! I together with two others from the Verulam made the short trek down to Biggin Hill to ride this route. The weather could have been awful, but despite a cold overnight, a sunny day with temperatures down as low as one degree in the valleys, but in the car on the way home, we noted 13.5 degrees. No doubt that somewhere around 1700m of climbing is challenging at this time of year, but what a great way to do it! I was aiming for a moving time of around 4h, so not far off the objective. Yesterday I was given the choice of going to see the Maggie Thatcher film or War Horse. I chose War Horse. Good choice. Spielberg has woven so many threads into a really powerful and moving story of a boy and his horse. There is huge scope for follow-ons and sequels, although I hope none are made. Much better to leave much unsaid. I don’t know if Michael Morpurgo has written any of those other stories, I guess I should find out. Either way, I enjoyed the film, and would like to see it again, I have the impression I missed some subtleties. So this morning I got on the turbo, resolved to do a nice long steady ride to make up for not going out with the club. 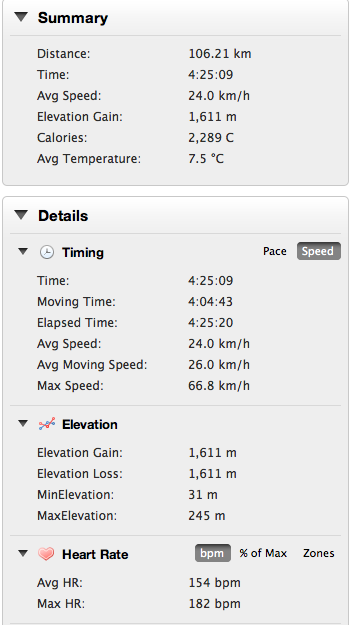 Don’t think my legs have ever felt so worked…. Again, it is interesting that the moving time and moving average speed are not so far adrift. However, on Friday, I may revert to my trusty winter bike…. I really am surprised how little difference this shows. Admittedly the December commute was heavy, but it really does surprise me how little difference there really is. Jon had a slip on a corner, damaging pride, a brake and a thumb, plus bruises. Hope fully he will not suffer too much due to that, he picked up after the slip, I suspect it was the endorphins. Will have to check on him later. 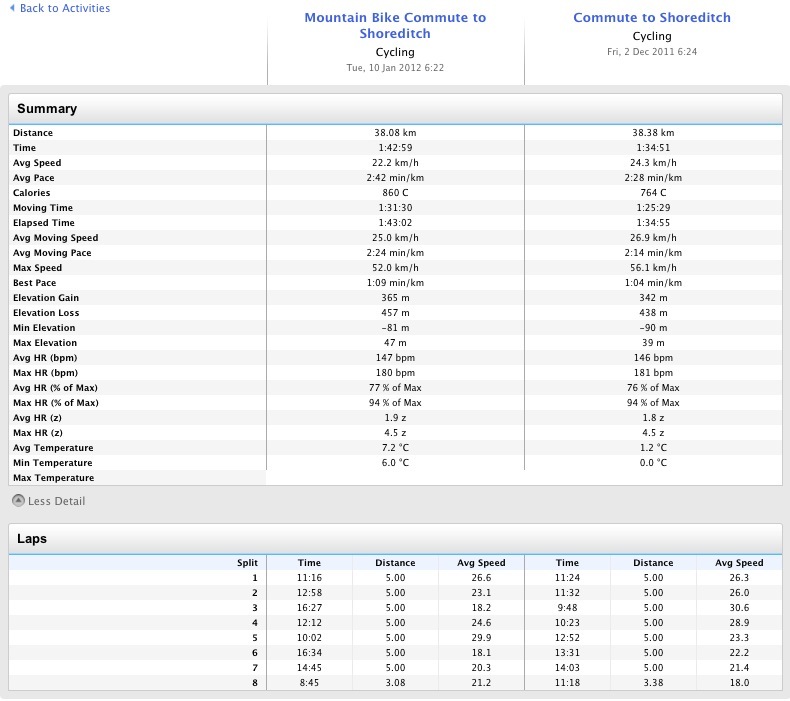 Over the year, I cycled over 5000 miles, (only those recorded on my Garmin) and spent some 335 hours on the bike (well actually across the three bikes, the Roubaix, the Shorter and the Giant winter bike). It is interesting looking at the numbers, given that I broke my hand in January, so was off the bike for 4 weeks or so, ran through the patio doors at the end of May, causing a 2-week break around the start of June, and then had a small accident on the Mountain bike in Nevada. I wonder what it would look like if I actually hadn’t had those mishaps. It didn’t prevent me riding the Marmotte in July – which I believe was the most challenging ride yet. I felt ill beforehand, and started the day determined not to over-do it, and to bale when it was too much. Somehow that didn’t happen, maybe because I started gently, made me able to go through to the end. Much of my cycling during the year I cycled with my cycling partner Jon, who encouraged me, made me feel guilty when I didn’t cycle, commuted into London, and was there through the year to have the shared experience. For that I thank you Jon, it really makes a difference, makes the whole thing enjoyable and memorable. Frosty morning, would not have gone out had I not been leading. I was also advised strongly by the management that I should not go out. There was a “select” group turned up this morning (the foolish). However main roads were okay so we took a main-ish road route round to Hemel, Berkhampstead, Tring, Ivinghoe and up to the Visitor Centre at Dunstable Downs. 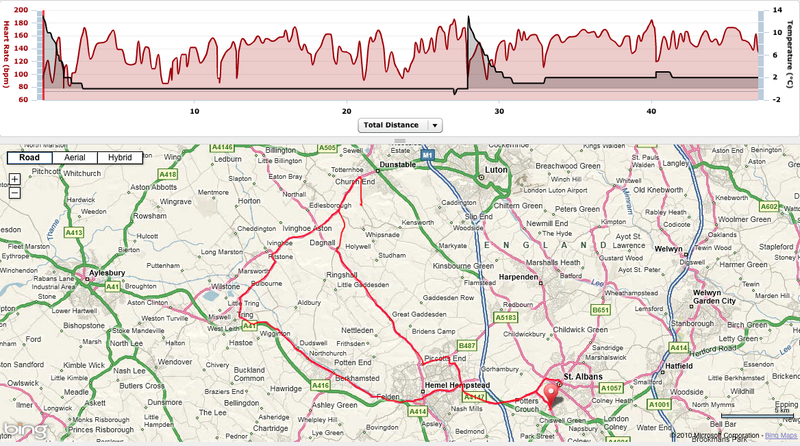 After the most carb-packed flapjack (solid syrup) we routed back along Dagnall, and the valley bottom to Hemel and back along the hemel road. 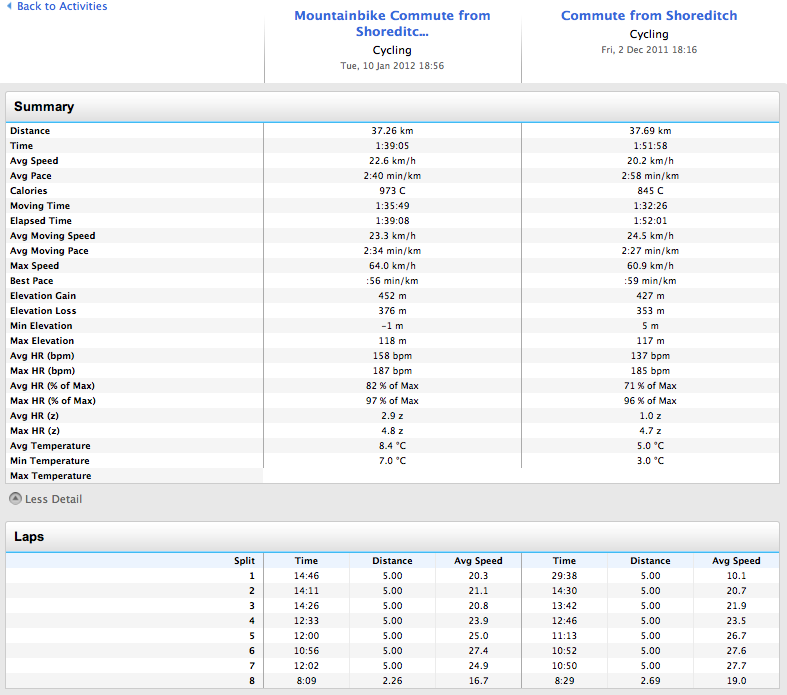 It was a very sensible ride, moderated speed with very few sprints or climbs. We did get a little worried when it started snaowing when we were at the cafe, but that luckily soon passed. 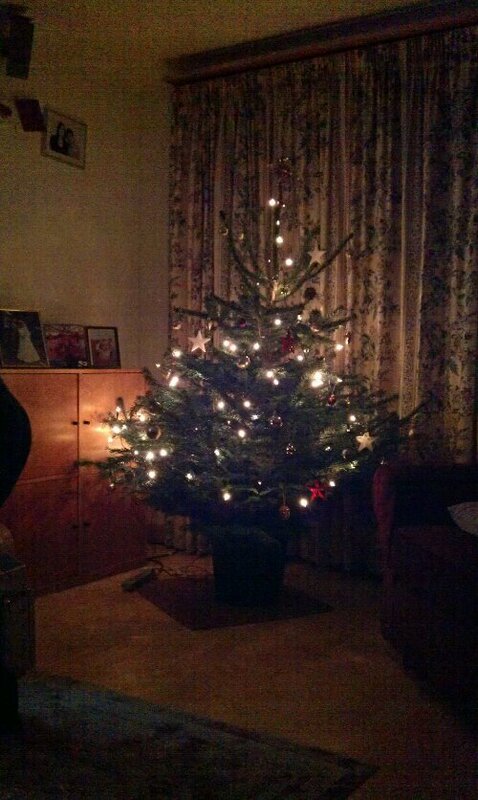 Lucy’s home, Christmas can now begin. It’s official. This morning I decided it was definitely time for a turbo as we were not able to ride into work. I had done 30km when the turbo started slipping, not good. I had to I’ve it up. As I was working from home I was able to ring the distributor (for the cyclops Fluid2) who after I explained the problem, asked where I bought it, then said they would send me a new unit. No messing. Customer service. Right.